Last week we mentioned that there are changes in 1099 reporting this year. 1099s can be tricky in general not to mention there is a lot involved in the changes, so we thought we would use this week’s blog post to expound a little on 1099s. There a couple of new rules to be aware of. First, investment companies are now required to report the cost of investments, such as stocks, sold during the year on a 1099B. This “basis” will help the company and the IRS when reporting investment sales. The second change is the addition of a form 1099K. If you or your business have a merchant account and take payments from people by credit or debit card, the credit card processing company is now required to report those transactions to the IRS. If you receive a 1099K this year, make sure you give it to your tax preparer, as there is now a special line to record it on. Now that we have the new rules out of the way, let’s review who receives a 1099. Form 1099s are sent to individuals, businesses, and/or attorneys who have been paid $600 or more by another company. For example, if a company pays an independent web designer $500 a month to maintain their website, the company would need to send the web designer and the IRS a Form 1099 with the total amount you paid them. So in this case the 1099 would report $6000. There is one more instance where a 1099 is given, and that is for owners of rental properties who use property managers to maintain their rental properties. The property managers must send the property owners a 1099 reporting the rental income from the properties—as long as the income was $600 or more. 1099s are an important tax document and they must be submitted to the IRS and sent to the respective recipients by a certain due date each year, which is January 31st. We hope this has helped you understand 1099s a little better. If you have any questions, feel free to check out www.avoidbeingaudited.com to learn more! The 2011 tax filing season is here, and in this blog post, we would like to update you on some of the things that have changed as well as a few things that haven’t remained the same. There are changes in 1099 reporting this year. Investment companies are now required to report the cost of investments, such as stocks, that you sold during the year on a 1099B. This “basis” will help you and the IRS when reporting investment sales. There is also a new form 1099K. If you or your business take payments from people by credit or debit card, the credit card processing company is now required to report those transactions to the IRS. If you receive either one of these forms you should review them, and if there are any amounts that are incorrect, bring them to the attention of the one who sent the form to you so they can correct it. The Standard Deductions have gone up as usual. 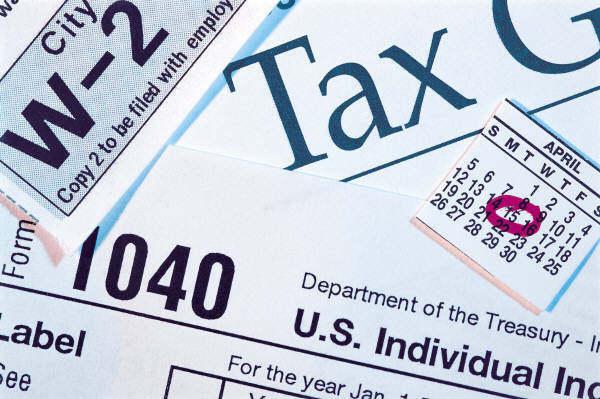 For 2011 the deduction for Single and Married Filing Separate is $5800. For Married Filing Jointly it is $11,600 and for Head of Household it is $8500. The Standard Mileage Rate for 2011 is different for the first half of the year than the last half. This happened once before in the year of hurricane Katrina. Business travel will be $0.51 per mile the first half and $0.555 for the second half. Medical and Moving Mileage is $0.19 for the first half and $0.235 the second. But Charitable Work Mileage stays the same all year at $0.14 per mile. The IRS is implementing a new efile system called MeF. It is supposed to make efiles more accurate and process refunds better/ faster. However, the system has not been tested with the anticipated tax return volume expected this year, so we will see how well it goes. The Child Tax Credit remains at $1000. Qualified teachers may continue to deduct up to $250 of out-of-pocket classroom expenses. You may continue to take the Sales Tax Deduction as an itemized deduction instead of deducting State Income Taxes. The College Tuition and Fees deduction also remains in place. These are just a few of the changes this year. Make sure to go to avoidbeingaudited.com to learn more about changes in the tax system. Also check out our tax organizers. They’ll help you capture all your deductions!